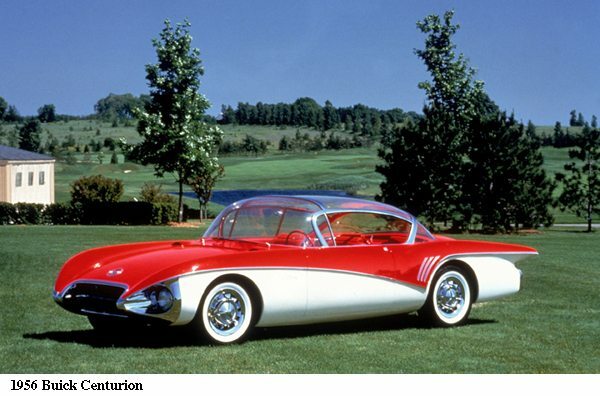 A spectacular four-passenger coupe with fiberglass body and all-glass top, this red and white model was particularly known for its “seeing-eye” television camera in the trunk. The TV camera had a receiver on the instrument panel to replace the rearview mirror. The camera was mounted in a jet plane-like tailcone. The engine is a 325-hp V-8. Centurion is owned by Sloan Museum.